When I decided to pursue the idea of opening this "Water Retreat" in the gorgeous area of Lakeshore East, I knew I needed to find the right architecture partners to bring my ideas to life. In my professional career, I have only worked in World Class organizations so my standards are pretty high. When it comes to my own business and the investment of my life's savings I can only tell you, my standards have reached a whole new level. I searched around the city of Chicago and landed on one firm to target, BOX Studios. Box Studios is THE coolest architecture firm in Chicago (IMHO). So I went after them and took a shot! It was really love at first sight when I saw Box Studio and their portfolio of greatness on their website. I thought to myself, I have to meet someone there asap to see if they had the sparkle in their eyes like I do when I talk about this business venture. If I can get them excited, we can find a way to work together. I knew my 1500 sq ft project would be uninteresting in size and scope compared to the behemoth projects this firm normally embarks on (think Groupon, Threadless, Getty Images) but I wasn't going to let that stop me from trying! Box Studios work at the Groupon Mothership is simply out of this world! I ended up having a connection to one of Box Studios founders and architecture veteran - Ferdinand Dimailig through some professional acquaintances. I ended up reaching out to Ferdinand via LinkedIn message and he was kind enough to respond. We ended up speaking on the phone and by happenstance found out that we are both from "The Region" aka Northwest Indiana! He actually grew up knowing several people I know so I knew this was now meant to be. After my first conversation with who I now refer to as "Ferd", I was excited to go to Box and see where these geniuses work. Little did I know that they were within walking distance to my intended location! Their space was set up as you would expect - clean lines with inspiring photography on their projects. Truly stimulating the "art of the possible" with an overwhelming library of materials that make their projects come to life. I was trying to hold back my excitement when I entered their "reception" area - it was like walking into my friends upscale kitchen! 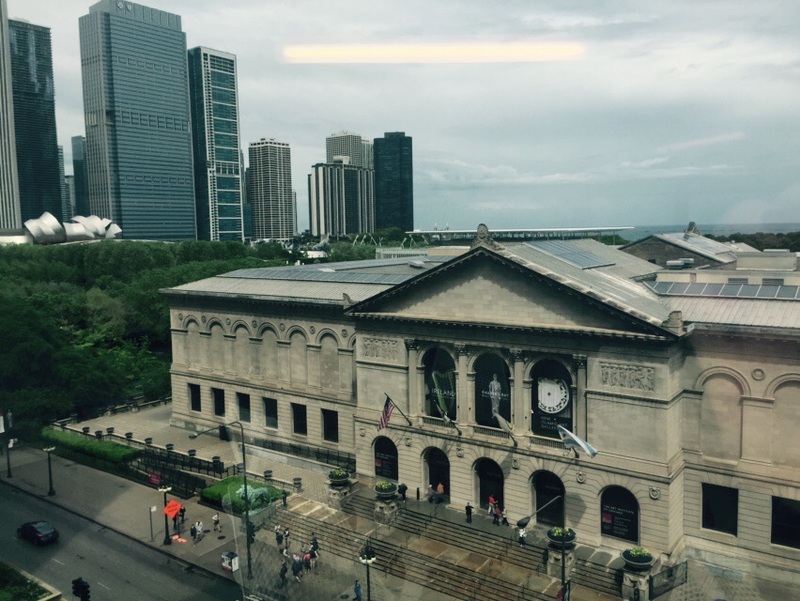 I saw one gentleman in a conference room that had an East view out to Michigan Avenue. I couldn't wait to check it out and hoped that my meeting would be in that room! Lucky me, it was! The view was spectacular! Well, here we are just days from our meeting and I'm reviewing a proposal from Box Studios! Looking forward to making this decision and starting our endeavor together! Check out some more of Box Studio's portfolio! Threadless is definitely something that Box Studios should be proud of! Learn more about Box Studios!